The Ying Quartet occupies a position of unique prominence in the classical music world, combining brilliantly communicative performances with a fearlessly imaginative view of chamber music in today's world. Now in its third decade, the Quartet has established itself as an ensemble of the highest musical qualifications. Their performances regularly take place in many of the world's most important concert halls; at the same time, the Quartet's belief that concert music can also be a meaningful part of everyday life has also drawn the foursome to perform in settings as diverse as the workplace, schools, juvenile prisons, and the White House. In fact, the Ying Quartet's constant quest to explore the creative possibilities of the string quartet has led it to an unusually diverse array of musical projects and interests. The Ying's ongoing LifeMusic commissioning project, created in response to their commitment to expanding the rich string quartet repertoire, has already achieved an impressive history. 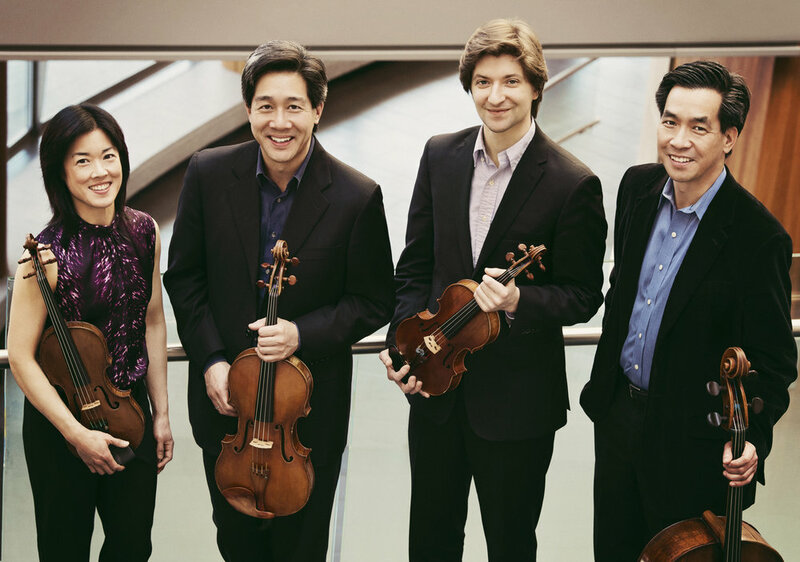 Supported by the Institute for American Music, the Ying Quartet commissions both established and emerging composers to create music that reflects contemporary American life. Recent works include Billy Childs’ Awakening; Lera Auerbach’s Sylvia’s Diary; Lowell Liebermann’s String Quartet No. 3, To the Victims of War; Sebastian Currier’s Next Atlantis; and John Novacek’s Three Rags for String Quartet. In August 2016 the Ying Quartet released a new Schumann/ Beethoven recording on Sono Luminus with the cellist Zuill Bailey, and in 2016-17 the five toured with the Schumann Cello Concerto transcribed for cello and string quartet along with Beethoven’s “Kreutzer Sonata,” also reimagined for cello quintet. The 2017-18 season will see the Quartet continuing its work in the relatively new field of medicine, music, and healing with the staff at Houston Methodist, while simultaneously maintaining its busy touring schedule.